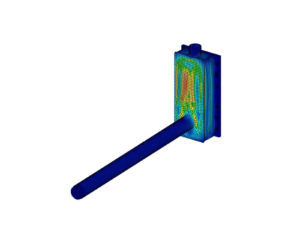 The Finite Elements Analysis (FEA) method allows for solving complex mechanical problems utilizing modern computers and trusted sofware packages who have undergone accuracy verification. 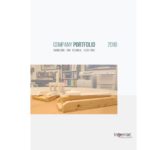 Through the application of boundary conditions and loads, as well as known material behaviours, new or existing designs can be assessed before being put in service, allowing for optimization in the early stages of design. 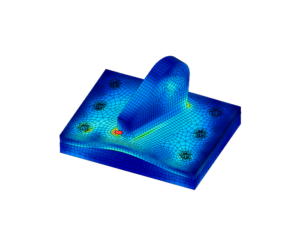 We utilize known and trusted software packages such as Algor Static/LM for linear analysis, as well as a number of open source packages selected for specific purposes to complement our capabilities. 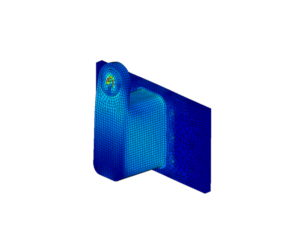 Besides structural design we utilize the FEA analysis for other types of mechanical problems such as pressure vessel design. 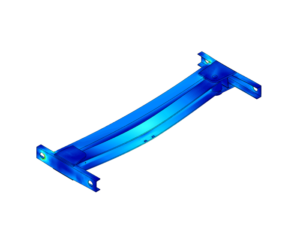 Linear stress analysis (static linear structural analysis). Fatigue analysis and life prediction. Modal analysis (vibrations, natural frequency, frequency response). 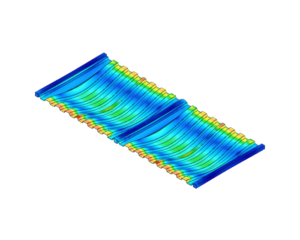 Structural optimization in static and dynamic loading environments. A nonlinear analysis considers a nonlinear relation between applied forces and displacements. This effect can result from large deformations, non linear behaviour in material (elasto-plastic region, for instance) or contacts. 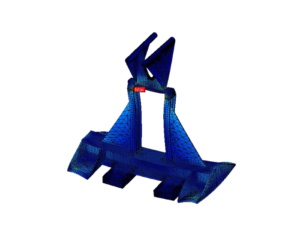 Roughly speaking, when the material behaviour is linear and/or the displacements are small with respect to the essential dimensions of the structural member, the results of the linear analysis are acceptable. 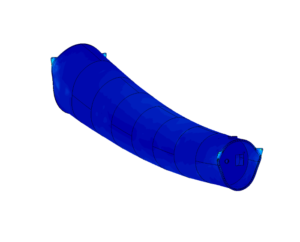 To decide whether to perform linear or nonlinear analysis, an idea of the behaviour of material under the given loading conditions is required before starting a FEA analysis. 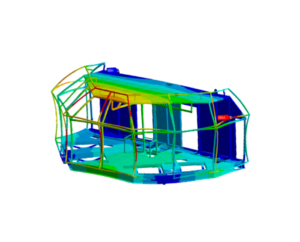 Where deemed appropriate, we can perform a nonlinear analysis ensuring a greater accuracy in results and expacted behaviour of the structure being assessed.